Recently I was able to spend some time at America’s Packard Museum in Dayton, Ohio, and, in their really cool building, they’ve restored a Packard sales manager’s office as it would’ve looked in the 1920s. Within the office sits a book – the actual Dayton, Ohio, automobile register from 1923(ish), open to a random page. I was reading it, looking at the different marques of cars registered in the area that year, and among the many Fords and Maxwells was a lone Rickenbacker. And it blew my mind. Anyway, it was mind-blowing because Eddie Rickenbacker, man among men, had a little car company that only existed between 1922 and 1927. His cars were excellent but not well received (Eddie’s competition did their best to shut him down). This car is powered by a 58 horsepower, 3.6-liter straight-six. It has four-wheel brakes – the Rickenbacker was the first car in its class with this now-standard feature. This example has been restored and is probably the only Rickenbacker currently on the market, as they are quite sought after. It should bring between $60,000-$80,000. Click here for more info and here for more from Bonhams. 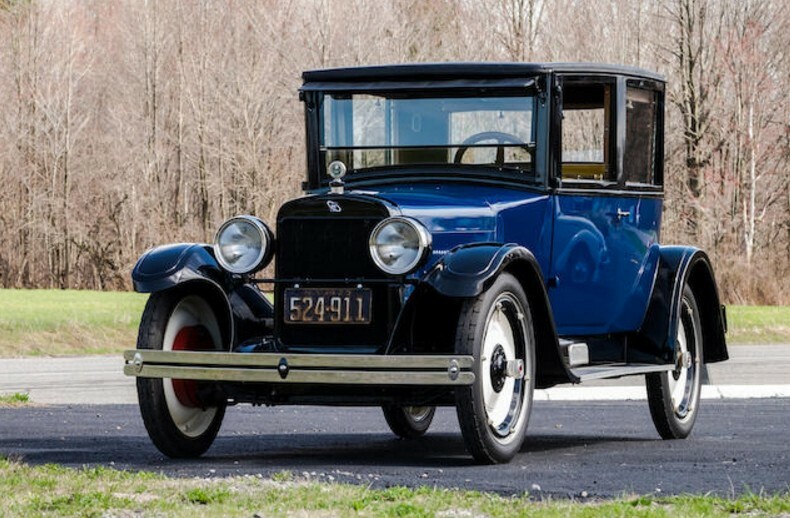 This entry was posted in Uncategorized and tagged 1923, auctions, Bonhams, cars, classic cars, coupe, model b6, rickenbacker by classiccarweekly. Bookmark the permalink.